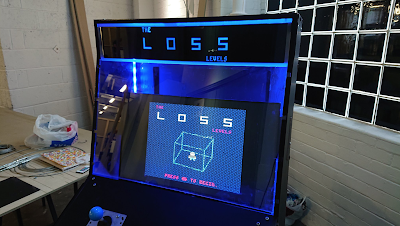 If you follow me on any networks you'll know that over the last year I've been working on and touring an arcade cabinet artwork called The Loss Levels. You can read about it here on Engadget, and there's some info on the wider project on The Guardian here. Why are you giving it away exactly? The cab was originally commissioned for the amazing Now Play This festival at Somerset House in London, and has since been exhibited at HOME in Manchester, as well as Sheffield Doc/Fest. The cab was added to the Doc/Fest touring exhibition, and made it's way to Lighthouse in Brighton. The next stop on the Doc/Fest tour is... Buenos Aires. This is great and very exciting, but comes with the snag that the current cab is not designed to go onto a plane - in fact it was never really designed to move much at all! I am currently putting the finishing touches to version 2.0 of the cab, which is massively more robust and won't break into a million pieces during a flight. So, this also means the original cab is now sat in my studio, and to be honest I don't have space for it. It's a little dinged up, but it's intact and perfectly usable. I decided that it might be nice to help someone out, and so I'm going to give it away. 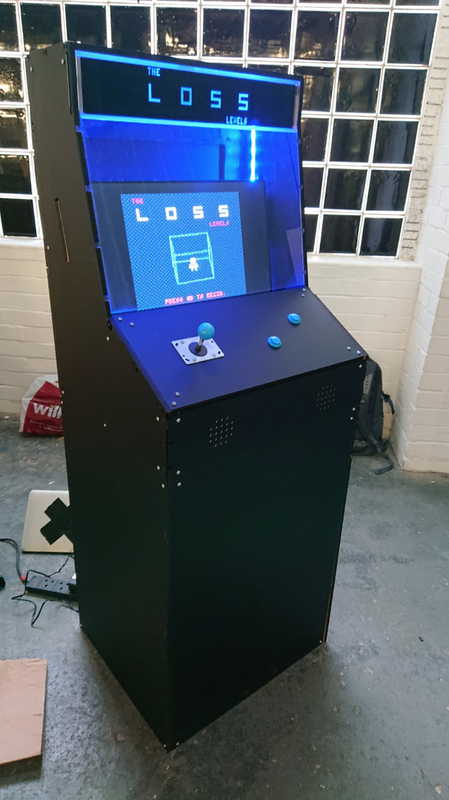 The cab was designed and fabricated by the awesome James Medd, and is made from an MDF core wrapped in authentically arcadey semi-matte perspex. The unit splits into two halves so it'll go in a reasonably-sized car without too much fuss. As I say, it's got some cosmetic wear and tear from being transported and played a zillion times, but structurally it's fine. INCLUDED: cabinet shell including panel that holds the controls, transparent perspex window for the front, specifications and design files for the whole thing including the fixings and screen. 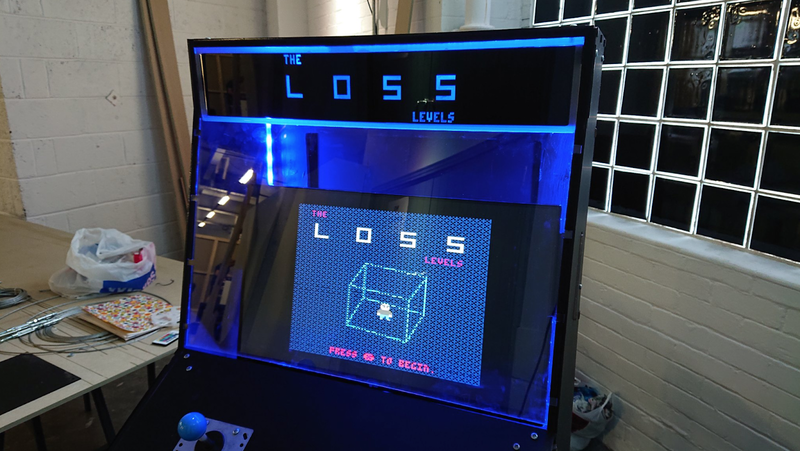 NOT INCLUDED: screen, electronics, joystick/buttons, 'loss levels' signage. 2) This offer is only open to someone who'll use it with either learners, beginners, or a group that wouldn't ordinarily have access to this sort of thing. OK! This is totally me/us. What next? Great! Get me at hellodanhett at gmail dot com and let me know who you are and who would benefit from it. This isn't a first-come-first-served thing as that's a bit unfair, the cab will go to whoever I feel will turn it into the most benefit for people who will learn and experiment and benefit from it. To be as transparent as possible: I'll be giving priority to disadvantaged/community groups and young people first, who wouldn't usually have chance to noodle with something like this. Good karma and all that, you know how it is. Their bartenders are nice and friendly. We stayed till closing and weren't ushered out or anything. Definitely want to go to this LA venue again and see if their unlimited drinks brunch is worth it!